L 7", H 6", W 6". 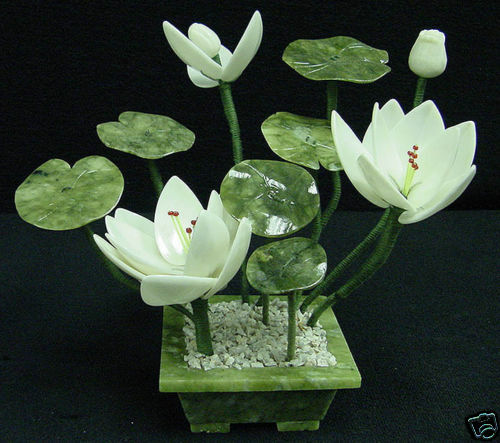 The beautiful lotus flower made from genuine Jade in Guangzhou, China. 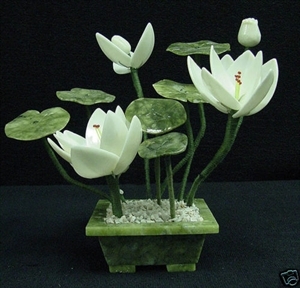 Its leaf is made of Taiwan Jade and its stem is made of wire covered with silk. It is an ideal decoration for your living room, dinning room, office and kitchen.